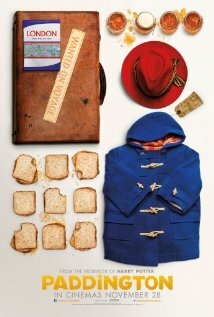 For what is ostensibly just another children’s movie, Paddington arrives surrounded by controversy. It has a PG certificate (mildly ridiculous when you think of the kind of big budget carnage that generally acquires a 12A) and others have complained that this new cinematic manifestation features a bear (voiced by Ben Whishaw) that is decidedly ursine and not at all like Michael Bond’s original teddy bear creation. At the end of the day all this matters little. 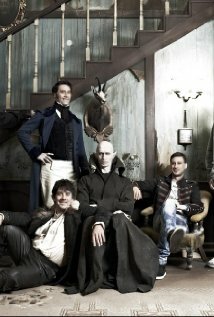 The film is a real delight, cleverly put together and featuring plenty of content to appeal to the more mature viewer. In fact, it might be true to say that much of it will be wasted on really young viewers and there are a couple of scenes here (mostly those featuring evil taxidermist, Millicent (Nicole Kidman)) that may actually traumatise them. And it does ensue, most convincingly. In fact, the script by Paul King, never puts a paw wrong, milking the slapstick sequences for enough laughs to keep a young audience entertained, whilst delving into more wistful pastures for older viewers. There’s a wonderfully inventive feel to the film – a host of Heath Robinson-esque inventions, some really appealing visual tricks (a repeated trope of the Brown’s home depicted as a doll’s house is a particular pleasure) and of course Ms Kidman’s character which introduces a touch of menace that the original story lacked. Despite so many doubts, the film makers have done credit to Michael Bond’s original creation (he himself has said that he can ‘sleep easy’ after viewing it) and have successfully ‘opened it up’ to create a satisfying family entertainment, that only the grumpiest viewer will find fault with. A well-deserved hit for the festive season. This film came and went at the cinema without making much of a splash. Catching up with it on DVD, I found myself wishing I’d managed to see it on the big screen, because its dazzling depictions of the Australian outback are one its strongest features and there are scenes here that are genuinely jaw dropping. It’s based on the autobiography of Robyn Davidson, who as a teenager in the 1970’s, decided to walk across the Australian desert, (a trip of some 1,700 miles which took her nine months to complete), with just four camels and a dog for company. Quite why she chose to do so remains something of a mystery, as Davidson, as portrayed by Mia Wasikowska, remains something of an enigma throughout, a young woman who shuns the company of her peers and clearly possesses incredible courage and determination. Her only human company for the trip are encounters with aborigines and the occasional meeting along the route with photo journalist, Rick Smolan (Adam Driver). His interest in the trip obtained Davidson’s funding from National Geographic and he is required to provide photographic evidence, but apart from one furtive sexual encounter in the desert, he’s mostly treated with the general contempt she doles out to everyone else. There’s not much of a story arc here. The film unfolds slowly, almost hypnotically, as Davidson walks further and further into the wilderness, suffering thirst, sun burn, hallucinations and a series of flashbacks based around her troubled childhood. To its credit, it never palls and by the conclusion, you do feel as though you’ve been on the trip yourself. A series of photographs that accompany the credits show just how realistic the film is, with both Wasikowska and Driver looking uncannily like their real life counterparts. I’ve always had a bit of a soft spot for a decent western, but in this day and age they are rare beasts indeed and they seldom draw much attention from the media (the honourable exception being the Coen Brothers’ True Grit, a strong Oscar contender back in 2011.) Veteran actor Tommy Lee Jones has co-written and directed this downbeat story, based on a novel by Glendon Swarthout and while it’s occasionally rather bleak, there’s nonetheless plenty here to enjoy, even if the movie doesn’t really deserve the ‘feminist western’ tag it’s been er… saddled with. Yes, there’s a strong female central character, but there are also three women who have been driven mad by their inability to cope with life in the wilderness, whilst their respective husbands seem to be getting along just fine – so while it might be considered feminist in the sense that it centres on a woman’s story, it’s hardly a tale of empowerment. 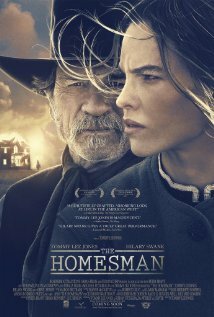 Mary Bee Cuddy (Hilary Swank) is a spinster, hacking out a living for herself as a homesteader in the brutal environs of Nebraska territory at some unspecified point in the 1800s. Because she’s supposedly ‘as plain as a tin pail’ she’s struggling to find a husband for herself in an era where such a failure is considered shameful. This is one point where the film doesn’t really convince. Swank is terrific in the role, but there’s no way anyone could consider her plain, despite the costume department putting her in some of the ugliest costumes in cinematic history. Cuddy is a devout and determined woman and when she hears that three local wives have (for a variety of reasons) lost their minds, she undertakes the hazardous job of driving them back East to civilisation, a trip that will take five weeks or more. When she chances on George Briggs (Lee Jones) sitting on a horse with a rope around his neck, she offers to save his life if he will promise to help her with the (unspecified) task and he hastily agrees, little realising what he’s taking on. Lee Jones is a delight as the scowling, curmudgeonly George, a man with a shady past and a tendency to go off the rails when he’s had a few drinks. If the film is reminiscent of any other, it’s The African Queen and the pairing of Katherine Hepburn and Humphry Bogart. As I said, there’s much to admire here. Great central performances, superb cameos from the likes of Meryl Streep and Hailee Steinfeld (though James Spaders’ turn as a duplicitous Irish hotel owner, features a very dodgy accent indeed) and a genuinely shocking surprise in the film’s final third. But a sequence where Briggs burns down Spader’s hotel (and everyone in it) seems somehow over the top, given the minor provocation he’s received. (Perhaps it was the accent?) At the end of the day, The Homesman is an entertaining film, that falls short of perfection in a few respects, but is still worth your consideration. Based (rather loosely, according to all reports) on a true story, The Monuments Men is actually built around an intriguing premise, the exploits of a team of art historians, who in the final days of the 2nd World War, are charged with the task of rescuing some of the great works of art appropriated by the Nazis. Frank Stokes (George Clooney) and his veteran team undergo basic training (a piece of cake apparently) and then head off to a series of exotic locations in search of Hitler’s pilfered masterpieces, while the war rumbles on, rather half-heartedly, in the background. Handsomely mounted and featuring a cast to die for – Clooney, Matt Damon, Cate Blanchette, Bill Murray… (I could go on), the overwhelming mystery here is why the resulting movie is so fatally uninvolving. Perhaps the blame lies with the lukewarm script by Clooney and Grant Heslov, which barely touches upon the irony of men giving their lives to save art (one short scene in John Frankenheimer’s The Train (1964) says it more eloquently than this entire movie does) or perhaps it’s the fact that the story never manages to generate any real fire in its belly and becomes a series of ‘almost did’ events. Damon’s character for instance, almost has a romantic liaison with Blanchette’s art historian, but instead, does the decent thing and goes home. Hugh Bonneville as a disgraced historian, who given a second chance decides to be a hero, almost manages to raise a tear but, not quite. Likewise when Damon’s character stands on an unexploded land mine, an opportunity to generate some genuine suspense if ever there was one, the device turns out to be a dud. 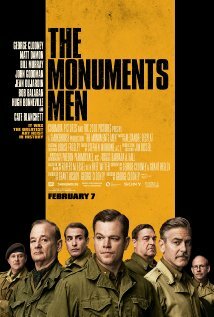 Ultimately, this is a decent enough attempt at telling a story, yet there remains the distinct conviction that the story must surely have been grittier and more dynamic than this and consequently, The Monuments Men should be filed under L for lost opportunities. Hardy is terrific in the lead role. He seems to be channeling Brando’s memorable turn as boxer Terry Molloy in On The Waterfront, delivering a hugely appealing character that seems as helpless as he is vulnerable. But in Lehane’s world, still waters run deep and there are a couple of twists in the narrative that are sure to take you by surprise. Gandolphini bows out in style, depicting a man who is impelled towards crime, not because of greed but by personal circumstance. This movie shows a side of America that we rarely see on film, an unabashedly blue collar world of grime, debt and criminal corruption. Though it takes its time to reveal the whole story, there’s a constant simmering threat of violence hanging over everything that happens and the conclusion, when it finally arrives, is brutal and shattering. 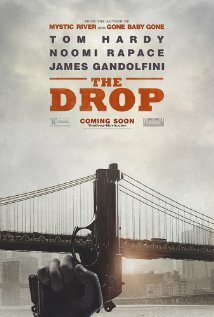 While in no way a ‘big’ movie, The Drop has a confident, engrossing narrative and is yet another notch in Hardy’s chameleon-like ability to portray characters from all continents and all walks of life. And it serves as a fine farewell for James Gandolphini, to whom the film is respectfully dedicated. So many bottoms on seats at a Saturday afternoon showing for what is, ostensibly, an ‘art house’ movie can mainly be put down to one thing – the Cumberbatch Effect. Seriously, this man could go on film and read his shopping lists and an eager audience would surely turn up to watch him do it. So what a good thing that The Imitation Game is a unqualified delight, a truly absorbing and compelling tale, expertly told, that, despite a running time of 114 minutes, doesn’t flag for a moment. And in the lead role of mathematician and all-round genius, Alan Turing, Cumberbatch is (it has to be said) quite extraordinary. Of course it’s not the first time that this story has been attempted in the cinema. Some may remember Enigma (2001), where Dougray Scott was charged with playing a fictional version of Turing called Tom Jericho and where all the awkward stuff was summarily skipped. Perhaps unsurprisingly, it was a box office failure. This version of the story, however, stays closer to the facts and is all the better for it. The film opens in 1951, where Manchester-based detective, Inspector Nock (Rory Kinnear) investigates a mysterious break in at Turing’s apartment and guesses that the man is hiding secrets, but he can have little idea of the web of intrigue that is going to be revealed as a result of his investigation. History of course has (eventually) recorded that Turing is the man who turned the tide of World War Two, by deciphering the German’s Enigma Code. In so doing, he shortened the course of the war by two years, saved millions of lives and (almost as a side-effect) pioneered the use of computers. But it’s also a tragic story. He was treated abominably for being a homosexual at a time when such a thing was illegal and suffered the almost unimaginable consequences. Norwegian director Morten Tyldum ( Headhunters) handles the proceedings with great skill and he’s aided and abetted by a superb screenplay by Graham Moore, one that skips effortlessly back and forth in time without ever confusing the audience and manages to make the most complex material easily understandable. An ensemble cast delivers a host of note-perfect performances. Keira Knightly as Joan Clarke, Turing’s doomed would-be fiancé, is a particular delight and both Charles Dance and Mark Strong excel in their roles as, respectively, a crusty Commander and a secret service operative. Special mention should also be made for Alex Lawther, who plays Turing as a boy, a matching of two actors that, for once, absolutely convinces. 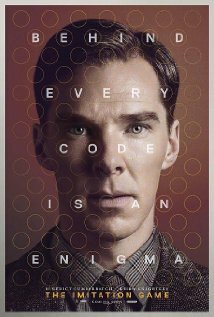 But, even amidst such riches, this is undoubtedly Cumberbatch’s movie and he manages to nail Turing’s (clearly autistic) character absolutely, by turns funny, awkward and inspirational. 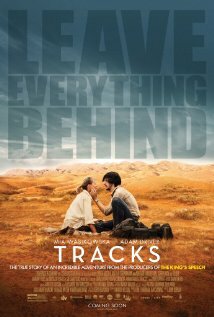 The film’s conclusion is just heartbreaking and only the stoniest character will manage to resist tears. The Imitation Game is filmmaking of the highest order and I cannot recommend it highly enough.